My kids and I love visiting historic sites in Texas. This is a pioneer schoolhouse circa 1887. It was locked and I really wanted and interior picture so I put my phone as close to the screen as possible and shot this pic! 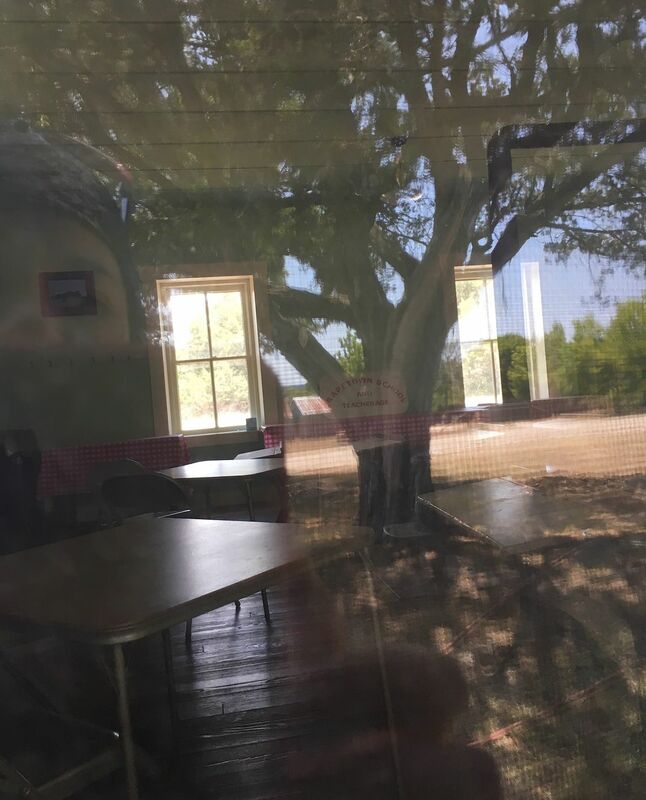 I was excited to discover the unexpected reflection of myself and a big oak tree that shades the schoolhouse as well as the terrific signage and interior of the tiny classroom! It was as though I was viewing the past and present all in one pic! What a way to time travel! Date Uploaded: Aug. 13, 2018, 5:12 p.m.